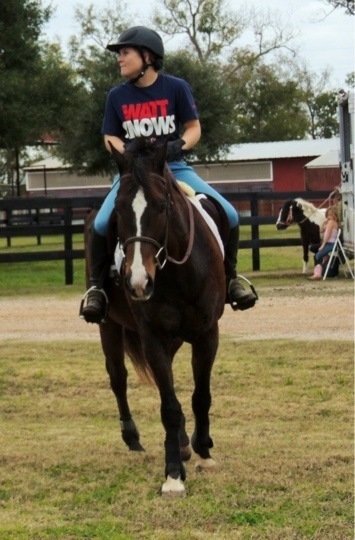 After all was said and done, Lauren chose her all time favorite horse, little Mickey, to go to lessons. We wanted to see how he was doing after eight weeks off due to hoof problems. It was also nice to have a horse that easily loaded, stood tied at the trailer and jumped without complications. Dev was pleased to see Lauren holding her position well while jumping. Our friend, Alex, also rode Mickey and he did well for her. No, it’s not time for Lauren to start showing Mickey again but it was good to see him sound and happy. Yay!! for Lauren and Mickey. What a fun post! !